Come and experience the King of Games for yourself, at Ireland’s premier Polo Facilities. 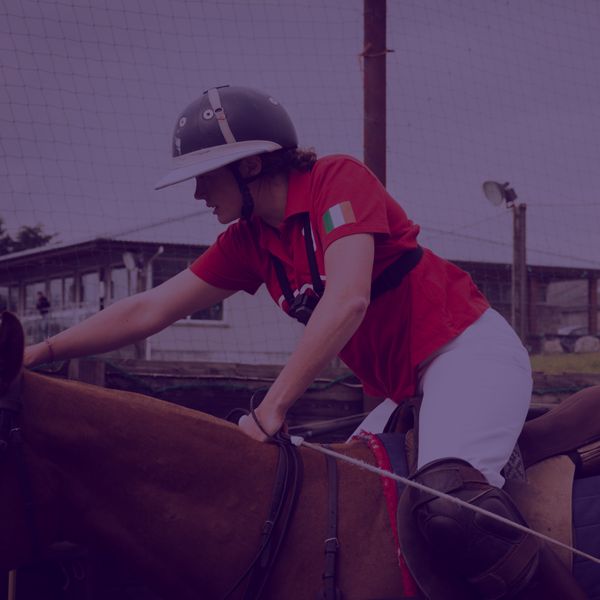 Polo, sometimes called ‘Hurling on horseback’, is the most exciting and addictive sport you will ever try and we encourage everyone to at least try it once. You become at one with the horse right from the start, you’ll be shocked at how responsive and quite these horses are. The best thing about polo is that it only takes up an hour of your day, no hanging about all day for 10 minutes on the horse. Hit the ball into the opponent goal. Ride your opponent off the line with your horse. Come for a one on one lesson with one of our fully trained coaches. Learn the basic skills from controlling the horse to hitting the ball or come to brush up on your previous skills. Prices start at €70 per person for private or €60 for groups of more than 3 people. From one day up to a full week, learn to play polo from scratch or dust off the cobwebs and refresh your previous polo experience. 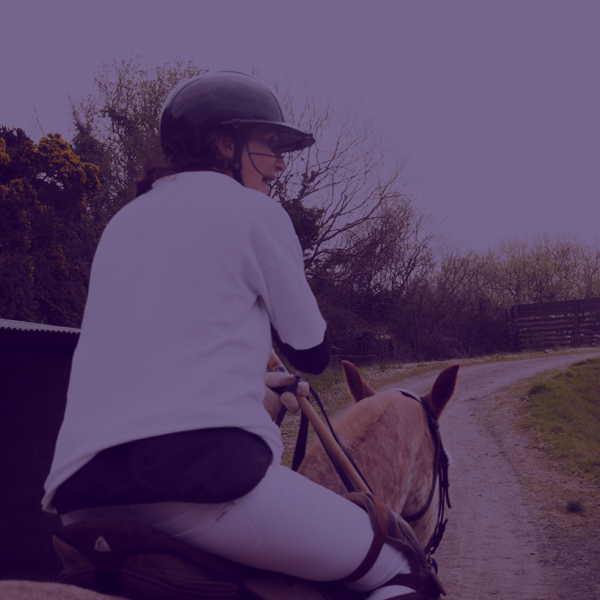 Immerse yourself in the full polo experience – see what goes on behind the scenes in the stables, enjoy a ride on Brittas Bay Beach (weather depending), trek across the farm, and much much more. Accommodation available. Prices start at €250 per day. Looking for something different for your office party or team building event? Maybe you even have a large group that want to give polo a go? Enjoy a half day at Polo Wicklow and get a taste of what polo is all about. Teams will be divided into groups and take part in polo activities including a foot polo mallet match, bending poles and a penalty shootout followed by lunch in the clubhouse. 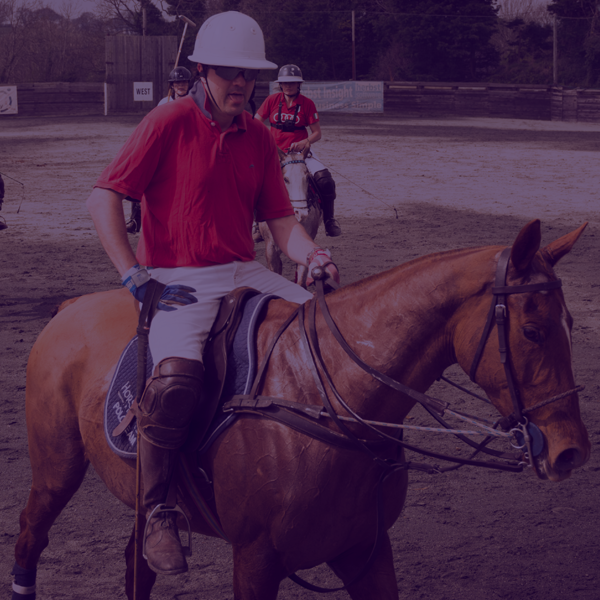 Everyone will get a go on a polo pony, whether they are riders or not – we have horses for all levels. All you need is normal riding hat and boots and we provide everything else. Polo Wicklow have highly trained schoolmaster polo ponies that are safe and know what their doing. Do I need to be able to ride? If you have previous riding experience it does make it easier but it’s not essential. How many lessons should I have before I get to play in a game? Each person is different but in general we would suggest 3-5 lessons before taking part in beginners chukkas.